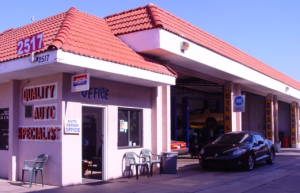 Quality Auto Specialist is family owned and operated in the city of Santa Ana since 1991. We are a full-service auto repair and preventive maintenance center. We take pride in providing our customers honest competitive pricing and quality service. You can feel confident when you bring your vehicle to Quality Auto Specialist because we will give our utmost attention and proper care to all auto repairs small or large. We are equipped with all the latest computer equipment and technical information. Come in or call us today for a quote or to schedule an appointment. We are competitively priced and specialize in providing high quality services. We are committed to repairing and servicing your cars right and we only use high quality replacement parts and components.